Last week ST Airborne Systems and Airflite signed a business agreement with the aim of penetrating the Special Mission Aircraft market in Australia and Asia. 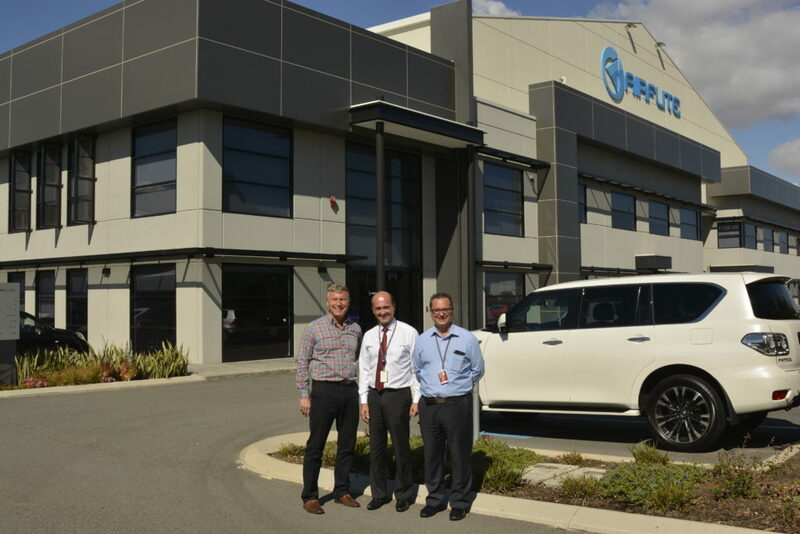 At a first meeting in Perth the foundation was laid for working together to meet the exciting and growing demands of a versatile market. “We very much look forward to this cooperation where Airflites’ competence in avionics and aircraft and ours in special mission systems will complement each other perfectly” says Mikael Seyfarth, Senior Sales Executive at ST Airborne Systems. Airflite is a proven leader in aviation related services for both the Commercial and Defence sectors, specialising in Aircraft Maintenance, Repair and Overhaul (MRO), Aircraft Sales and leasing, Avionics Line Maintenance and major modifications, Component Repair/Overhaul, Spares/Logistics Support, Structural Repairs, Flying College and Fixed Based Operations (FBO) with VIP Lounge services.